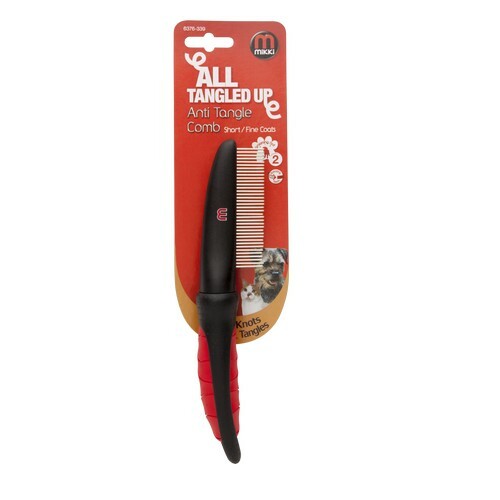 The Mikki Easy Grooming Anti-Tangle Comb for Long / Thick Coats has been designed with maximum comfort in mind for both the animal and the groomer. The patented 360 degree rotating teeth are designed to take the stress away from the animal's body and make it more comfortable for them whilst being groomed by reducing hair pull. 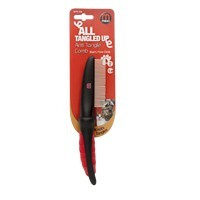 The soft grip handles ensure maximum comfort and ease of use for the user. Ideal for pets with coarse coats.